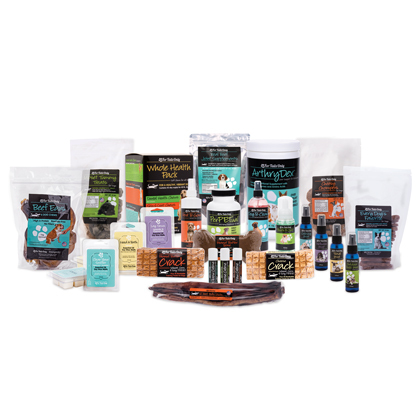 The purpose of this page is to help you learn how to get the maximum results from Youngevity products as well as offer different ways for taking products depending on your particular needs and taste. Please complete your self-evaluation form if you haven't already done so. Once you have completed the self-evaluation form, you are ready to begin. As a rule Dr. Wallach recommends 1 Healthy Body Pak per 100 lb. 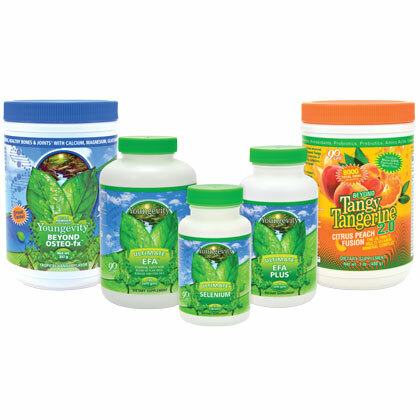 of weight, but for cost savings, some people start with one pack and simply add one bottle of Plant-Derived Minerals per extra 100 lb. BTT 2.0 is a multivitamin, mineral, amino acid, whole food, and antioxidant blend. Mix the BTT 2.0 in 3 to 4 cups of water. Dr Wallach recommends dividing the BTT 2.0 with two or three meals. Diluting it with water and taking it with meals provides the body time to absorb nutrients. Osteo-FX contains extra calcium, magnesium, vitamin D, and other bone and joint supporting nutrients. 1 oz PER 100 lbs. EFA Plus completes the 90 essential nutrients by proving all of the Essential Fatty Acids – omega 3, 6, & 9. Take EFA Plus with meals in divided doses for maximum absorption. Important! Do NOT take the full dose of your products all at once! Split it into two to three doses depending on your lifestyle. Take them with food! Dr. Wallach explains that most products are best taken with food. The nutrition is processed and absorb like food and taking your daily dose all at once will result in decreased absorption and benefit. You can also experiment with sipping on it throughout the day. This approach can be especially valuable if you are dealing with absorption and digestion issues. You can substitute products for the healthy body pack, primary due to taste preference and or food allergies. Below are some of these options BTT substitutions. Ultimate Classic: 1 oz per 100 lb. This is the product of choice if you are very sensitive to carbohydrates or rice starch, or have fruit and vegetable allergies. 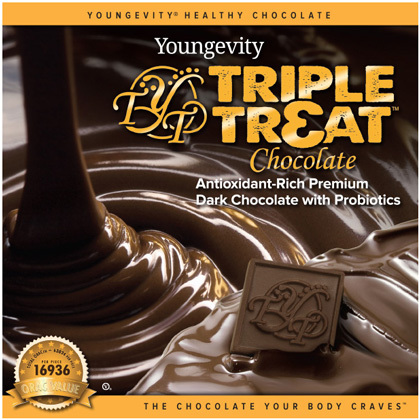 Many people with digestive issues, allergies, or blood sugar and balance find that this product is wonderful for them. A bonus of taking Ultimate Classic is that it contains extra calcium and magnesium. BTT 2.0 tablets: 4 tablets per 100 lb. These are similar to be BTT 2.0 powder but have an ORAC value of 160,000 per serving. The BTT 2.0 powder tends to be more absorbable and give the strongest greatest results, but tablets are wonderful option for convenience or someone is not able to tolerate the taste of BTT. BTT Original: 2 Scoops per 100 pounds. This has a fruit punch taste that some people prefer. Caution! If you have digestive issues, or suspect fruit or vegetable allergies, use this product with caution. Tropical Plus: 1 oz per 100 lb. This is a great option for people with very sensitive stomachs who need to ease into nutrition slowly starting with lower concentrations of nutrients. This product does not contain vitamin K.
Ultimate Tangy Tangerine: 1 oz per 100 lb. This product is for someone who needs nutrient levels of the classic, but is looking for a milder taste. This can be a good product to start infants on. Osteo-FX Powder: 1 scope per 100 lbs. While people typically see the best results with liquid Osteo FX –especially with bone, joint, and digestive issues – the powder version does not require refrigeration and is very convenient to travel with. The Osteo FX powder does not contain coconut, but the taste resembles a coconut flavor. Bio Calcium: 10 capsules per 100 lb. This is one of the best capsule replacements for Osteo FX. It takes about 10 capsules to approximately equal 1 oz of the Osteo FX. Cal-Toddy: 1 oz per 100 lb. Cal-Toddy contains extra magnesium which makes it one of our favorite products to increase bowel movements. Biometics Cal/Mag 1000: 1 scoop for 100 lb. This is a great tasting calcium and magnesium option. Ultimate Cal: 3-5 capsules per 100 lb. This is a great product no this product can be great to help slow down bowel movements. Typically people start with 4 capsules a day and adjust the dose based on their body's response. Multi EFA: For fish allergies or vegan-friendly needs, use the Multi EFA (plant-based EFAs). These provide additional hormone support. The smaller gel cap size also makes Multi EFAs much easier to swallow. S.M.A.R.T. FX: (Sustained Memory And Retrieval Time) for extra brain and heart support. The dose is typically 2 to 6 based on budget in need. Ultimate EFA 180: for extra skin and lung support. The worse the symptoms are, particularly when dealing with skin and lung issues, the more ultimate EFA 180 is recommened. Dr. Wallach would recommend to increase the dose until the symptoms are gone, as well as working on improving digestion. With severe issues or in dry climates, people often need to use a minimum of 6 and up to 18 a day. Ultimate EFA 180 can be easier to digest than the EFA Plus for some people, as well as taste less fishy if you are opening them and adding them to child's food or an infant's bottle. Why two types of EFA's? The Healthy Brain and Heart Pack has two types of EFAs because Dr. Wallach recommends using the combination of the Ultimate EFA 180 and the EFA Plus for maximum results. The body requires more essential fatty acids to obtain Optimal Health and any other nutrient. What if you have diarrhea or constipation? Calcium slows down bowel movements. What if the Osteo FX increases bowel movements too much? Reduce the dose for three to four weeks and build up slowly to the amount for your body weight. Add the Ultimate-Cal capsules adjusting the dose based on what you need to slow down bowel transit time. What about fiber for bowel movements? Although fiber can increase bowel movements, it damages and scratches the villi in the digestive tract which frequently increases or creates new digestive problems. For this reason, Dr. Wallach always recommends a low fiber diet and using magnesium to help with bowel movements. Try the Cal-Toddy starting with 1-3 oz based on what you need. Use the Bio-Calcium for capsule form starting with a dose of 8 capsules per day and adjusting as needed. Dr. Wallach explains that blood pressure issues, headaches, stiff shoulders, and muscle cramps or tightness are often signs of the body's stores of magnesium are very deficient. What if I want to increase my magnesium levels? Add Osteo-Mag tablets. Dr Wallach recommends adding Osteo-Mag tablets because they contain the form of magnesium that can help to rebuild efficient magnesium stores in the body. The doses typically want for tablets depending on the need and bowel tolerance. Try taking these just before bedtime to improve the ability to relax and provide extra repair support for the body throughout the night. Can I use Cal-Toddy and Osteo-Mag together? The Cal-Toddy can be used together with Osteo-Mag tablets if you need both increase bowel movements and rebuild magnesium stores. The Cal-Toddy can be used in place of the Osteo FX. Still not sure what to try? Don't want to spend too much? If you are on the fence about if these products might work for you or your budget, we would highly recommend the Ultra Body Toddy! Easy to take, 1 tablespoon per 50lbs in 4- 8 oz of water or juice. And so much more..... Thank you for Visiting! We need help spreading the word. Do you like what you see? Want to be a part of the crusade for healthy living part-time or even full-time?